Sila-e-shaheed kia hai, tab o taab-e-jaavidaana!!! 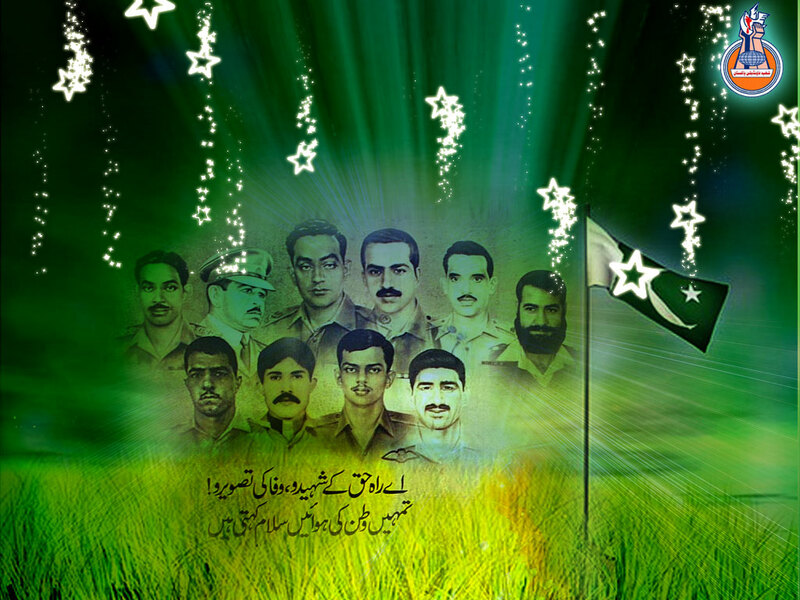 6th of September is celebrated each year as the Defence of Pakistan Day. It was on this day in 1965, that India launched her forces and attacked Pakistan across the international border without a warning or a declaration of war. this action of India,was in utter violation of International law, charter of the United Nations and norms of civilized behavior among states. India arrogantly swept aside her international commitments in her desire to subjugate the region. Even after a lapse of 46years when a new generation in Pakistan are the decision makers, the memory of India's treachery is vivid and uncompromising. At dawn on 6th September Indian forces crossed the border, pushed back the Pakistan Rangers and advanced towards Lahore on two axis. The Indian Army Chief, Gen. J. N. Chaudhry was so confident of defeating the Pakistani troops guarding the area and capturing Lahore that he announced to all and sundry that he would have a large peg of whisky at the Lahore Gymkhana Club in the evening of the 6th.